This 2-gallon UN rated container is for DEA controlled substances in consumer packages. Purchase of this item is only permitted for DEA registrants. (Not available for non-registrants or residential customers.) Max weight is 25 pounds. This product may be packed with pharmaceuticals that are considered non-hazardous wastes provided that materials are compatible. 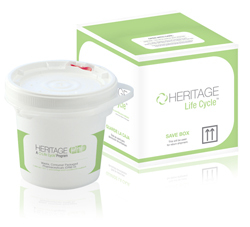 Mail back of RCRA hazardous waste is prohibited Mail back of RCRA hazardous waste is prohibited and should not be placed in these Heritage PhD kits. Refer to Pharmaceutical Page for excluded contents. 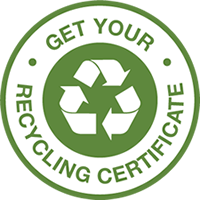 Prior to shipment of your container, a LifeCycle DEA waste stream profile form must be completed, signed and submitted. This form will be downloadable on your receipt. A container inventory of all Schedule I-V Controlled Substances will also be required and must be approved prior to Heritage issuing final shipment authorization and documentation. Click here for DEA inventory sheet instructions. Sale of this item prohibited in AK, CA, HI, and PR. Sale in IL limited to solids only.